Zeiss Individual lenses give you the clearest, most expansive field of vision available today. In fact, clinic trials proved wearers of Zeiss Individual experience up to 50% larger fields of view. That’s because each Zeiss Individual lens is custom made for you based on specific data provided by your eyecare practitioner, such as you prescription, frame selection and facial features. 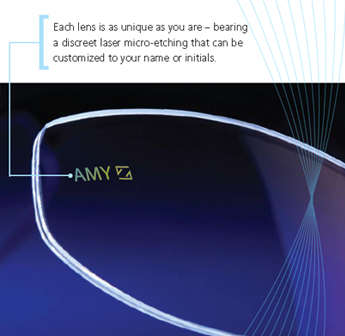 The end result is a one-of-a-kind lens that is personalized for just one person – you. Zeiss has certified Parrelli Optical® to fit this advanced lens. Trust their experience and knowledge to create a Zeiss Individual® lens that is perfect for just one person – you. Ask the Certified Professionals at Parrelli Optical® how innovations like Zeiss Individual lenses and PureCoat by ZEISS will allow you to be a part of the ultimate vision experience.